Ready to make WeDigBio 2018 Event the best ever! Be a part of making WeDigBio 2018 the most inclusive, productive, and exciting event yet! WeDigBio 2018 is Oct 18–21. 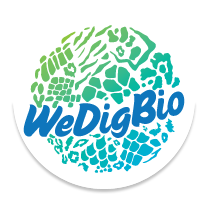 Be sure to register your event by Oct 1 to receive WeDigBio stickers and tattoos for your participants. We cover a few important updates here—read on! Thank you to Kevin Love, Robert Bruhn, Sean Kennedy, and Austin Mast for the recent work on the website. The dashboard view of activity across the globe is back, as are the event planning, games, educational exercises, and press kit resources. If you have examples that you'd like to share on those pages, send them to wedigbio@gmail.com. The home page has a cleaner look this year with both a revamped Twitter feed for @wedigbio and a new Instagram feed of images tagged with #wedigbio. Be sure to see your social media buzz appear there by including @wedigbio and #wedigbio in your Twitter and Instagram posts, respectively. Natasza Fontaine—A new face on your support team. It's our pleasure to introduce Natasza Fontaine, a new support team member for WeDigBio. Natasza has a visual arts and media background and most recently worked as a specimen digitizer at New York Botanical Garden. 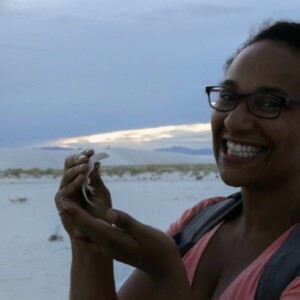 She is currently a new grad student at Florida State University and Research Assistant with iDigBio. Her long-term goal is to blend science, art, and media to close the information gap between scientists and general audiences. Her short-term goal is to help you succeed during WeDigBio 2018! Send her and the rest of the support team any questions at wedigbio@gmail.com. Register your events at SciStarter again this year. 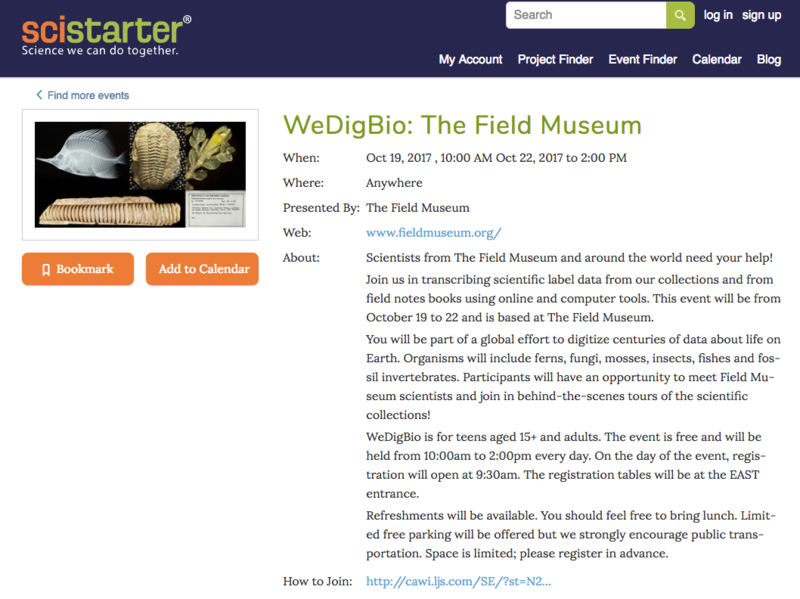 SciStarter is an excellent way to get the word out about your event, and we are asking that WeDigBio event hosts again register their events there after filling out our short form. Just be sure to include "WeDigBio" somewhere in the content, ideally in the event name. We continue to work towards populating our Event List on wedigbio.org automagically from SciStarter, a need driven by the scaling-up of WeDigBio in recent years. Check out this 2017 event as an example, and we provide some directions here. Questions? Don't hesitate to shot us an email at wedigbio@gmail.com for a quick answer. Looking for inspiration? A recap of the many creative approaches by the community during WeDigBio 2017 can be found in the WeDigBio blog.